As part of Measures E and U General Obligation Bond passage, AEC provided civil engineering design services to reconfigure the parking lot and access to improve safety and efficiency. New improved design elements include, upgrading the parent drop off; providing a separated bus drop off zone; adding a second driveway entrance to improve circulation; and adding a pathway to, and installing crosswalk improvements at Alder Drive. 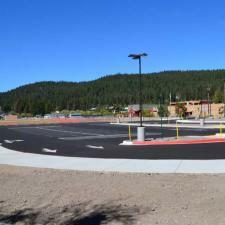 Sierra Expeditionary Learning School (SELS) is a K-8 public charter within the Tahoe Truckee Unified School District. 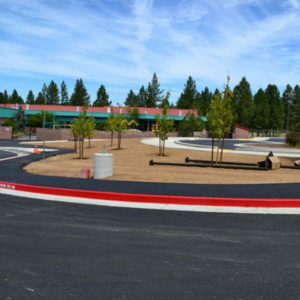 AEC provided civil engineering design services to reconstruct the existing parking lot in order to improve access and parent and bus drop off. Improvements also included waterline and utility connections for the new Maintenance and Operations Building. AEC was responsible for design layout of the 3.6-acre site including much needed drainage improvements throughout. Measures E and U are General Obligation Bonds that were approved by voters in November of 2014. Since that time, a great deal of work has been underway for the district's facility upgrade projects. AEC provided civil engineering design services for Glenshire School addition, which included: reconfiguring the parking lot; improving bus drop off and access to improve safety and efficiency, providing frontage improvements; dry and wet utility relocation; and stormwater drainage improvements. 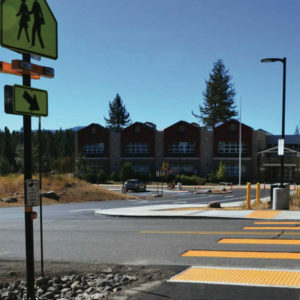 The new improved design elements improved circulation and qualified the project for the Safe Routes to School program in the Town of Truckee. 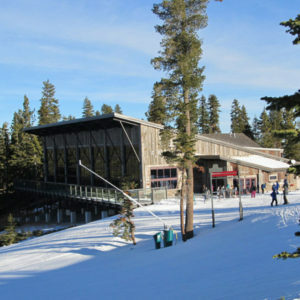 The Zephyr Lodge is a 14,000 square foot ski-in, ski-out restaurant lodge located at the top of the Tahoe Zephyr Lift with views off the backside of Northstar. 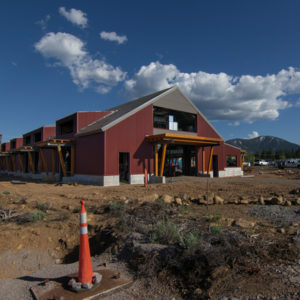 The lodge opened in December of 2011 and is LEED certified. AEC was contracted to provide civil engineering, surveying, SWPPP monitoring, and LEED Certification for the project. 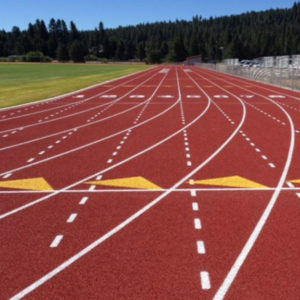 The Truckee High School Track upgrade included the replacement of the existing track with a synthetic track surface, new restrooms, bleachers, and ADA compliant accessibility throughout. AEC tasks included storm drainage and water quality treatment for the new track as well as design and reconfiguration of three existing parking areas, drive aisles, walkways, and utility connections to the new restrooms.